PERFECT REPLACEMENT - If you lost, broke, or just need another 24 oz cup with rim, look no further. COMPATIBLE WITH NUTRIBULLET - Our large cups work seamlessly with Nutribullet Pro 900 watt or 600 watt blenders. 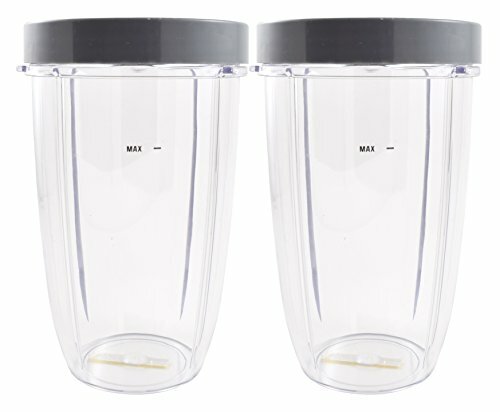 TRAVEL WITHOUT A WORRY - Portable cups with sealed tight rims that will pair well with any busy lifestyle that demands on the go convenience. PREMIUM PLASTIC - The container and rim are made out of high quality materials that are sure to last.